Our work creates new ways to interact with design possibilities. A project proposing new ways to design, it looks at the application of machine learning and optimisation to drive the investigation of design options. Taking parametric generative systems as a starting point this project aims to identify and implement means for designers and also non-specialists to influence design by giving high-level feedback on concrete, interactively generated options. This input is embedded in a larger "mixed-initiative" process which uses machine learning to model user preferences (both individual and collective) as well as using optimisation to produce high performance designs. Project investigating the use of the web as a medium to allow for wider input on architectural schemes. Utilising the massive capabilities of ubiquitous modern web technology this project explores the potential of web connected computational systems to undertake far reaching user participation for design proposals, option selection and change generation. This project aims to develop especially tailored web interfaces and server back ends to help wider communities (end-users, local-residents, general public) have real impact on design beyond typical client input and public exhibitions, by providing a web platform that allow them to interact with, comment on and edit 3D environments. 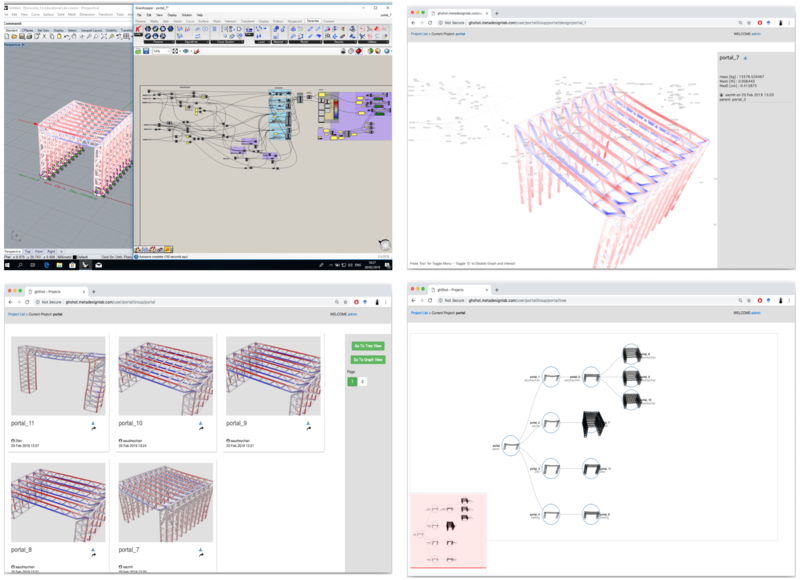 Current work focuses on the development of "GH Shot" cloud based a versioning capture system similar to Github but for parametric software Grasshopper. 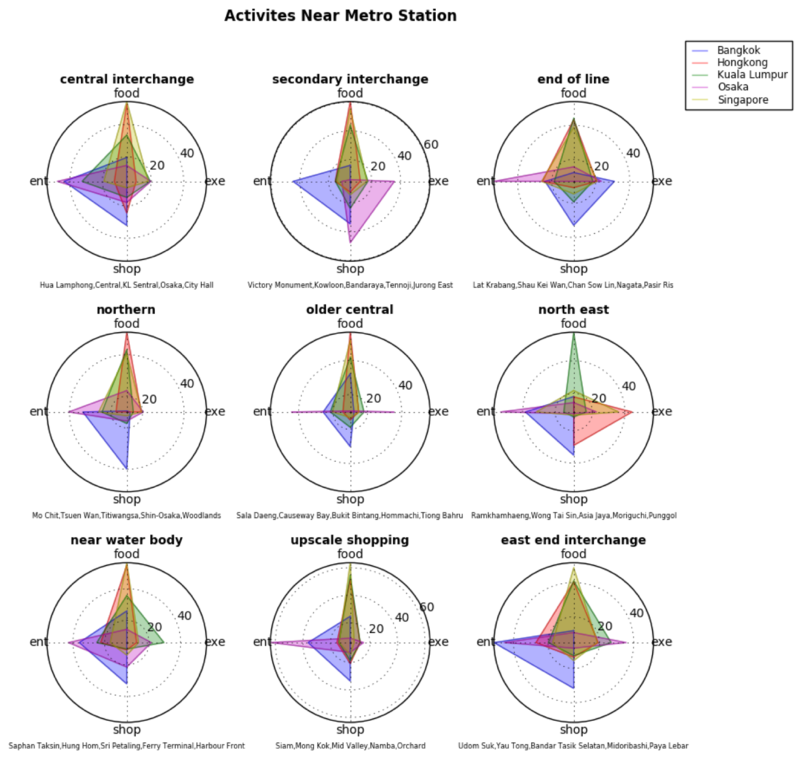 This project proposes a research program that investigates and develops a ‘decision-making first’ centric methodology for developing data-visualization in design and decision-making context. Typically, with buildings, master plans or government initiatives there is a complex set of stakeholders with executive power. This project aims to research and consider what types of visualizations are required to provide the best insight to help these people make these decisions. Fitting data to decisions rather than fitting visualizations to data. The research combines existing work with new industry focused experiments aimed at finding the limits oh human visual processing power and the most optimal approaches to data comprehension under typical design situations. Current work focuses on developing software tools and advice documentation for data heavy design use. A project is a topic thrust as part of wider aviation sector center of excellence at SUTD. The thrust focuses on the future of aviation terminal design towards the middle of this decade, specifically in the growing South East Asia region. It aims to research the 5 key scales of airport design: global, city, terminal, building, and user-experience in a progressive and connected way. Initially finding insight relating to future aviation terminals; looking at world economic and demographic trends, leading to aviation demand predictions, in parallel exploring technological disruptors to existing airport and airport-city-interfaces such as infrastructure and transportation innovation; translating this into effects on the terminal to allow the presentation of new proposals for novel adaptive airport and terminal building forms relevant to the South East Asian environment. A project in conjunction with a global consulting engineering firm, leveraging their large database of existing Building Information Models (BIM), and aiming to turn large amounts of unruly data into insight and useful tools. We do this by utilising analytics and big data visualisation to gain a better understanding of BIM models. The analytics and visualisations are accessible, as collaborative effort is desired. These are then extended to developing predictive machine learning which helps as assistive technology for greater BIM productivity and model verification. We are actively engaged in a number of big data projects. These focus on how big data can be leveraged as a design tool. This is focused in two primary directions: firstly using social data to find insight into relationships and trends between people and the design of the existing built environment. Secondly using big data to propose and tune new and novel design solutions based on existing data. 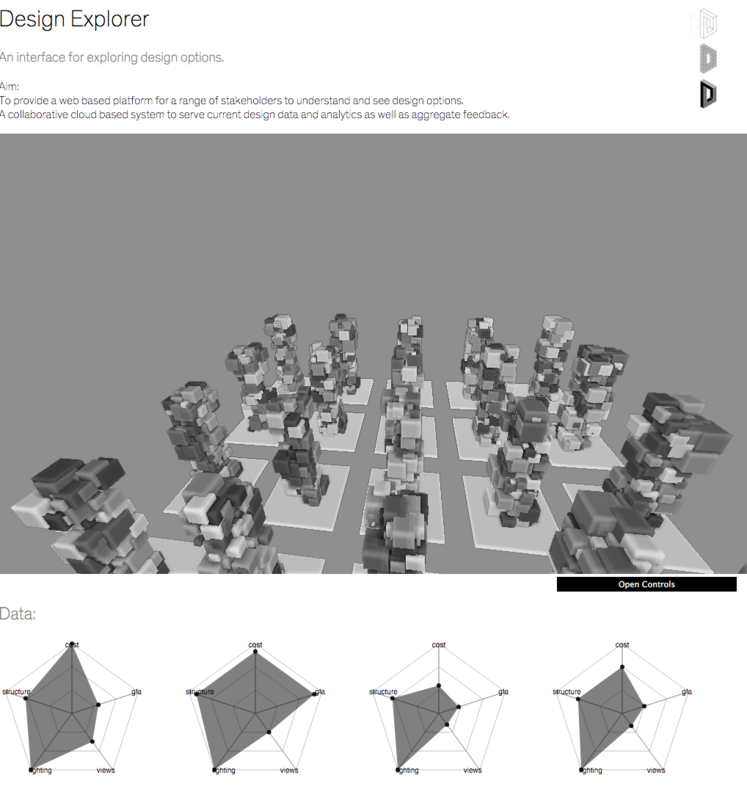 Currently this research focuses on fusing spatial mapping and social media data. 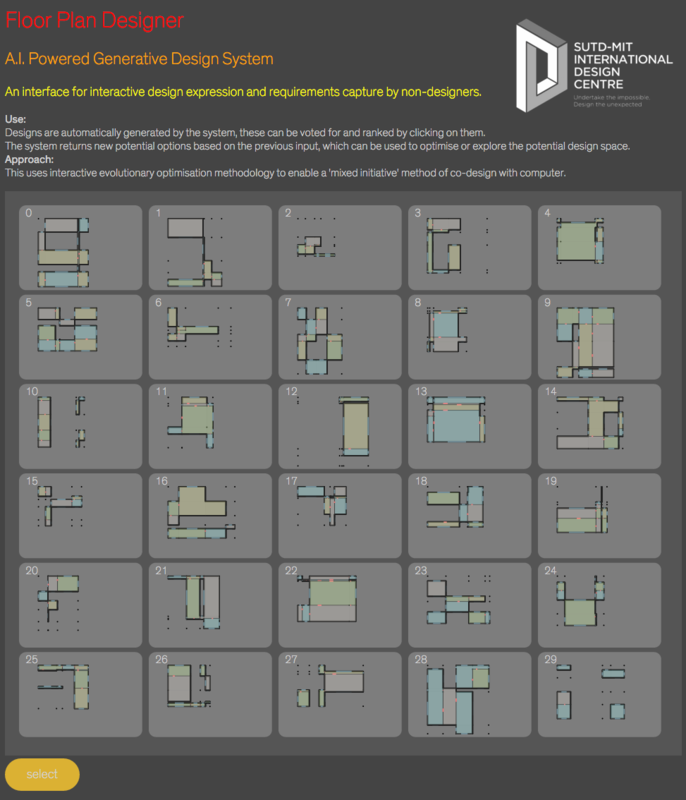 This enables generates relationships between the two and enables more objective verifiable correlations between design configurations and social use and engagement with space. Spatial data at a range of scales from urban and infrastructural, building and master plan, through to office space design. Social data comes from both public sources relating to interaction between participants, private messaging as well as corporate and institutional networks. Got any interesting topics you would like us to look at or collaborate with us on?